Starting with the new TV spot, it's making a strong point that this is all about monsters fighting other big monsters. Not nearly as much nuance or clever perspective as its predecessor. Just a good old-fashioned kaiju beat down, but with modern effects that look absolutely incredible. It's also set to a very creepy version of Somewhere Over the Rainbow from The Wizard of Oz, which makes it all the more intense. There are little bits of new action footage in here and some new choice chunks of dialogue. "Where is your Godzilla now?" As for the human cast? It's just as impressive as the monster lineup. It includes Millie Bobby Brown (Stranger Things), Vera Farmiga (Bates Motel), Sally Hawkins (The Shape of Water), Ken Watanabe (Inception), Kyle Chandler (Manchester by the Sea), Bradley Whitford (Get Out), Charles Dance (Game of Thrones), Thomas Middleditch (Silicon Valley), Ziyi Zhang (Crouching Tiger, Hidden Dragon) and O'Shea Jackson Jr. (Straight Outta Compton). With a cast like that and this group of monsters all packed together in a movie of this scale, it seems hard to imagine a scenario in which this disappoints. Gareth Edwards' Godzilla was released back in 2014 and kicked off what has been dubbed the MonsterVerse. Jordan Vogt-Roberts continued that with Kong: Skull Island in 2017 and Adam Wingard, the man behind Blair Witch, is currently working on Godzilla vs. Kong, which arrives in 2020. It's a very good time to be a fan of monsters. And a very bad time to be a human in the universe alongside those monsters. 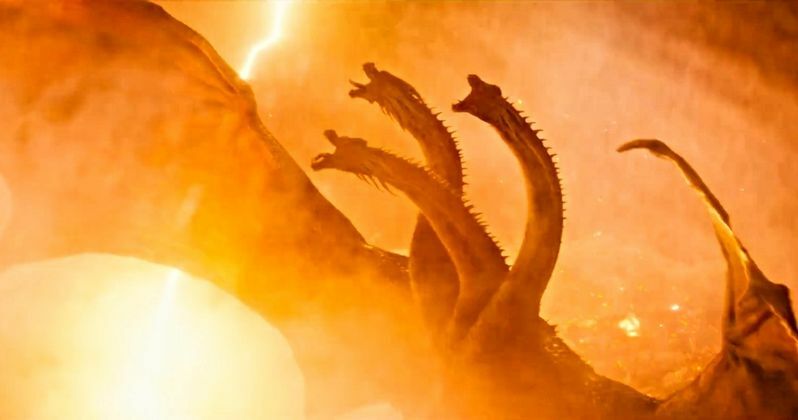 Godzilla: King of the Monsters is set to arrive in theaters on May 31. Be sure to check out the new image from Michael Dougherty as well as the new TV spot from the Warner Bros. Pictures YouTube channel below.